At the top of my fall and winter wish list this year are boots. 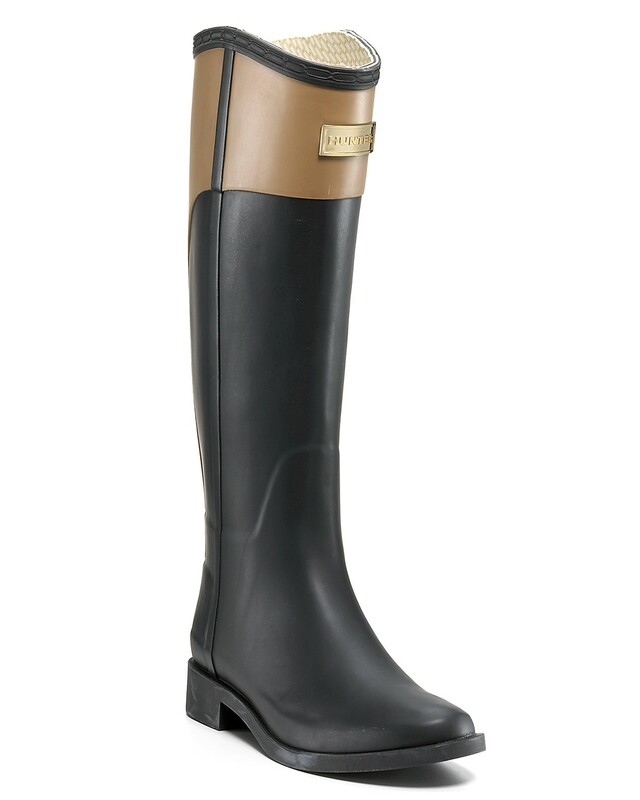 I wore out my favorite pair of riding boots last winter, and have been looking for the perfect pair this year. Nice quality riding boots are expensive, but I think it's one of those items that's okay to spend a little more money on. At least, you can wear it for two to five years. 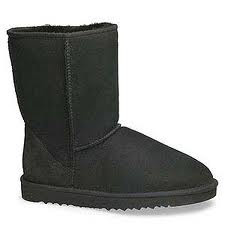 I love wearing boots during the cold months, and practically live in my UGG boots in the winter. The Boyfriend got me Hunter rain boots for Christmas last year, after I complained too many times about getting my shoes ruined in the rain. I try to save my riding boots for weekends and would love a pretty pair of ankle booties for cold nights out on the town. Here are some of my all time favorites and some pairs I'm lusting after at the moment. 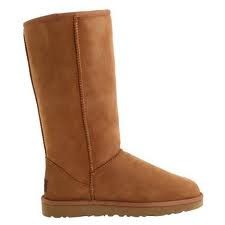 In my experience, people either love UGG boots or hate them. Yes, they are a little chunky, and unfortunately some people think it's okay to wear them with shorts or a skirt (by the way, it's NOT okay. Not. Ever. ), but I think they look great with some leggings or skinny jeans. They are extremely comfortable and warm and, personally, I don't think I can ever own too many pairs. 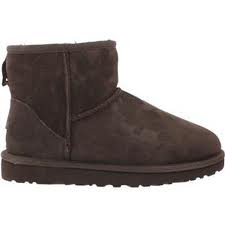 UGG Australia Classic Tall in "Chestnut"
UGG Australia Classic Short in "Black"
UGG Australia Classic Mini in "Chocolate"
Before I got a pair of rain boots, I used to want to cry every time I had to walk to the bus stop to go to work and it was pouring down rain. I knew I had to get a pair of rain boots to avoid having to throw out a pair of shoes every two weeks, or having to work all day with cold, wet feet. 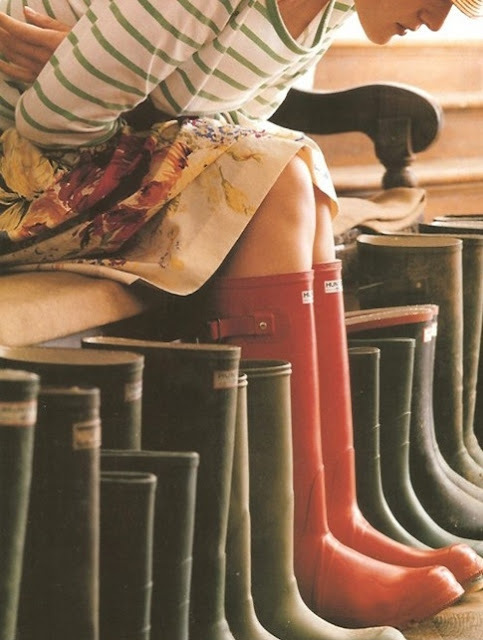 I set my sights on Hunter Wellies. 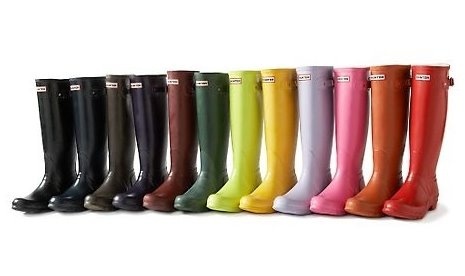 The original Hunter boots come in all the colors of the rainbow, and at first I wanted to get them in red or green, but unfortunately the original Hunter boots are too big around my legs. 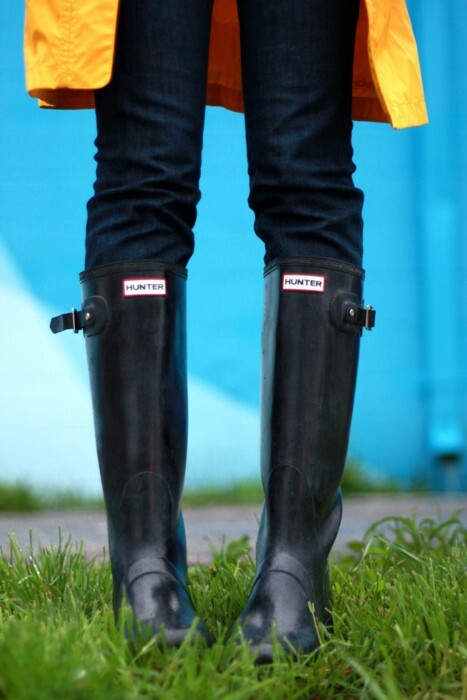 Luckily, they also have the more fitted and stylish Hunter Regent collection. So I picked out the Hunter Regent Neoprene. They are slimmer than the originals, fit nicely around my calves, and doesn't make me look like a farmer running around Taipei City. Hunter Original Tall in "Dark Olive"
Hunter Original Tall in "Black"
Hunter Original Tall in "Red"
Hunter Original Gloss in "Raspberry"
Hunter Cece boots in "Black/Cafe Latte"
Tory Burch Calista riding boot in "Almond"
I'm not a big fan of slouchy boots, and prefer a slimmer and more structured boot. 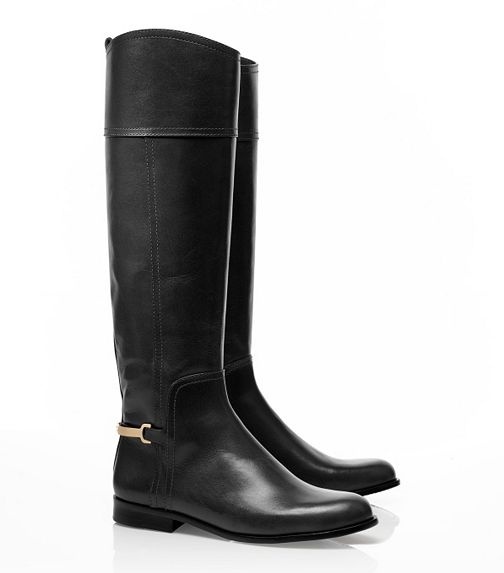 This year, I've been obsessed with Tory Burch's collection of riding boots. They are on the pricey side, but like I said, I feel like a pair of good quality riding boots can last you a few years if you take good care of it, and it will be totally worth the money. I still haven't decided which pair I want, but I'm definitely in the market for a black pair, even though I really like the brown ones, too. I just have more clothes that will go with black boots. 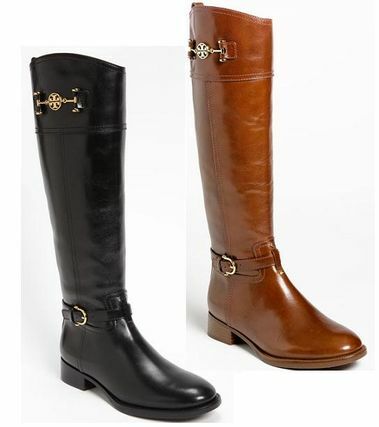 Tory Burch Jess riding boots in "Black"
Tory Burch Nadine riding boots in "Black" and "Almond"
Even though I've never owned a pair of ankle booties, I definitely look twice when I see a pair I like and imagine what I'd wear it with. One pair that caught my eye is the Christian Louboutin Daf Booty. Way too nice and way too expensive; I probably won't own them in this lifetime. But a girl can dream. 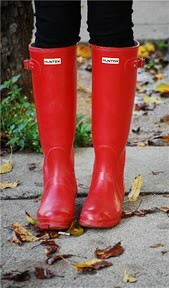 Do you wear boots in fall and winter? Which is your go-to pair? I wish there's Fall/Winter season here in Philippines. I'd love to wear those lovely UGG Boots too. As for ankle boots, I think H&M has a lot out right now that aren't too pricey! Tho as you said, when you buy a pair of any well done boots, they last for years if you take good care of them. Leather and killing animals for fashion is thing I don't agree with, but as long as I own less, and those quality things ...after all, plastic and chemicals aren't good for the body - leather is natural. 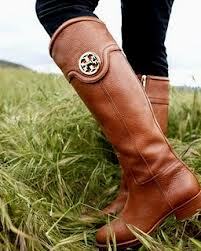 Tory Burch shoes are made in China, because manufacturing is cheaper than in the States. I've never heard of anyone being allergic to it, so you should be fine. I haven't seen that documentary, I'll have to check it out. 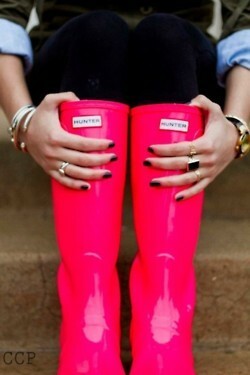 I want a pair of riding boots like no other. Love this post! I'm glad you like it. Thanks! Which color are you thinking of getting? I really like brown and black, but I know that I'll get more wear out of black ones. Good luck in finding the perfect pair! With winter fast approaching, a pair of Scarpa Manta boots are a must for yourself, or as a gift for others. 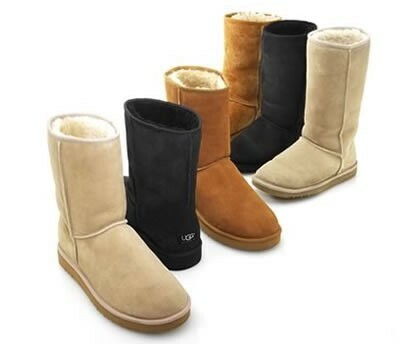 Grip, flexibility and durability are all much better than other brands.I find this website for Best Winter Boots you can visit this site.